There are a thousand uses for a good pineapple jam: toast, muffins, ham glaze, roast chicken glaze, pork roast glaze, cookie fillings and many more. My first attempt at making fresh pineapple jam was not totally successful since it never really "set" and I ended up using it as ice cream topping. I think the acidity or sugar level in any given pineapple varies greatly, so it was hard to get the right pectin ratio, but that's just a guess. 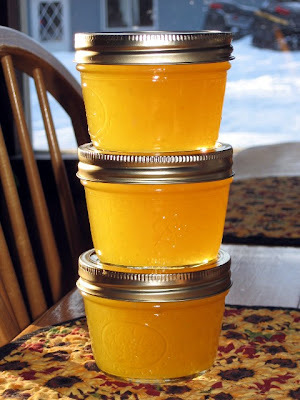 Now I use this excellent, super quick and super tasty recipe for pineapple jam that calls for canned crushed pineapple. I'd like to say that I, normally, would never consider making jam from a canned fruit (I make jam from berries that grow around the house); but, pineapple jam is the exception and this one gets five stars from Hubby. 1. Wash your jam jars and rinse well (dishwasher works well) keep jars hot. them sit in the hot water till you need them. 3. Measure 3 cups of sugar and set it aside. 4. Add enough pineapple juice to the crushed pineapple, to equal 3¼ cups. One 20 ounce can of un-drained crushed pineapple and one six ounce can of unsweetened pineapple juice equals 3¼ cups. Place the fruit + juice + pectin in a six quart, heavy bottomed saucepan and bring the mixture to a rolling boil over high heat. Add the sugar, all at once, and bring back to a full rolling boil (one that can not be stirred down) stirring constantly. Boil for one minute. Remove from heat and skim off (and discard) any foam that is on the surface of the hot jam. Ladle hot jam into jars, filling to within ¼" of the top. With a clean, warm, damp cloth, quickly wipe off the rims of the full jars and put the two piece lids on. Process the jars in a hot water bath for 10 minutes. Remove and cool on the counter. NOTE: Recipe makes five cups of jam. NOTE: I keep individual (6 ounce) cans of unsweetened pineapple juice in the pantry for cooking, rather than a big jug that spoils before it gets used up. NOTE: We don't care for jam that has big (unspreadable) chunks of fruit in it, so I pulsed the pineapple in the food processor a few times before I started cooking the jam. The final product still had a pineapple texture, but no hard chunks. I think next time I make this, I will put in a few chopped maraschino cherries for fun & color. Coleen, I'm timid about making jam, but this looks like a winner! LOL I just bought pineapple jam, but now I will try my hand at making my own. LOVE to see those brought colors. Just something so comforting to see the pantry stocked with homemade jams. LOVING this! I've never made jam before but it's on my list of things to do. Pinepalle jam sounds wonderful and I agree with Katy...love the bright colors! Coleen, thank you so much! I can locally grown berries (but I have to buy them). I made some apricot pineapple jam, which set perfectly. I had wondered about pineapple, and I think it would be fun to make some. I'll trust your word by making some. Yummy on using it for glazes! Coleen this one is pretty. I love your shot with the stacks and the tablecloth. I think I need to tell you something though based on your last comment to me. You have it all upside down. I’ve never once thought badly of your pictures. The opposite is true though, you’ll use something interesting in your shots, or use an angle I haven’t tried and it gives me inspiration. I learn more from you I think than you do from me. I wonder if you knew that now. I guess I just figured you did. Pineapple jam sounds absolutely delicious Coleen! It sounds really delightful. And it's gorgeous too!! I love that color. Never thought of it before but now I'm sold. 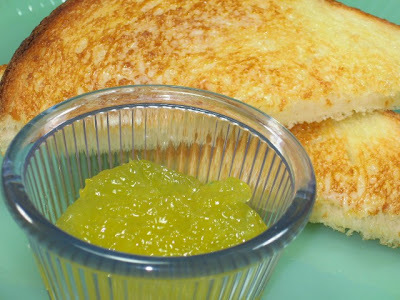 I have some Smuckers pineapple jam in the fridge now or I'd go make some. Your first picture is so pretty and sunny. Relly lovely Coleen. We love jam , but have never tried pineapple jam. It looks so pretty. Thanks. oh my gosh, i really want this! great recipe! These little jars of jam are adorable! I like to keep individual specialty juices in the bar too. I got tired of throwing out forgotten bits. Mmmm, this sounds good. I've not canned or jammed anything before. It's one of those things I wanna try accomplishing this year. Hi Coleen! I made this awesome jam last night blogged about it over at http://jackatessa.wordpress.com Thanks for the great recipe! It worked like a charm!! I found this recipe on Pinterest, and I'm planning to do it up tonight. It looks wonderful.Thank you for sharing the recipe. HOW LONG DOES IT LAST SEALED ? To Phyllis: It lasts as long as any other sealed jam. Thank you Coleen.. I have been making homemade jam for many of years. I am so glad to find this recipe. I will be making it this weekend !! Hi Colleen I have a question for you! can you double the recipe and make more at one time or does that mess things up??? I love making jams but I've never tried this one I sure would like to try and make more!! I just made this. I didn't have pineapple juice so I used a mix of lemon juice and cherry juice instead. It is in the bath now. So excited to try it! To Cynthia Malm:If the jam seems softer than it should be (because of the substitution, it works well on ice cream!! Do you have to add juice or can you just use enough crushed pineapple to make the 3 1/4 cups worth? To Sharkie: I have only ever made this just as written. Do you use both a 20 oz. can crushed pineapple and a can of juice?? Looks amazing. To Anonymous: Yes, the full can of fruit and one small (lunch box size) can of juice. I'd like to suggest adding a couple of cinnamon sticks to your jam-it would make a great addition. I think I'll make it that way. 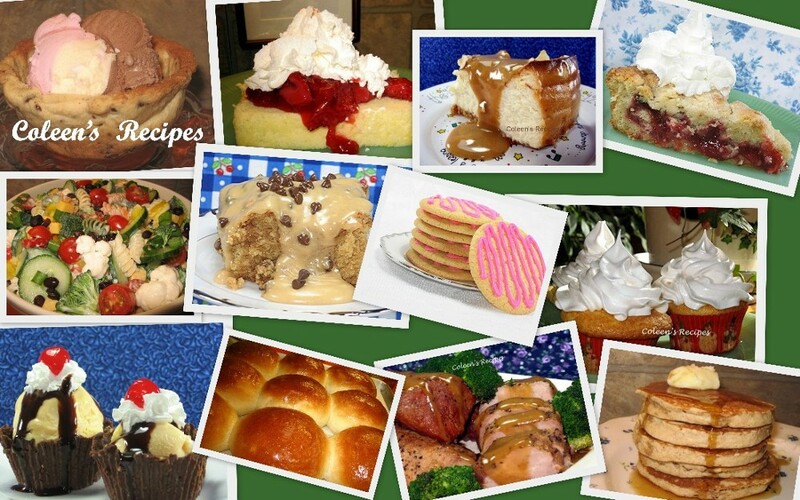 My mother in law used to make a dessert she taught me to make that uses that combination. Let me know what you think. I just made the pineapple,jam with only 2 ingredients,it was good!but,is there a way I could use crockpot,as I would make this pineapple jam recipe, for my church family....about 20 people...let me know how many cans of pineapple I would need to put in my small crock pot...an any other thing I need to put in jam,an how long I would cook this pineapple jam....THANKS SO MUCH!AN THANKS, FOR SHARING!! VIVIAN GENTRY MY EMAIL ADDRESS IS:gentryv390@gmail.com THANKS! 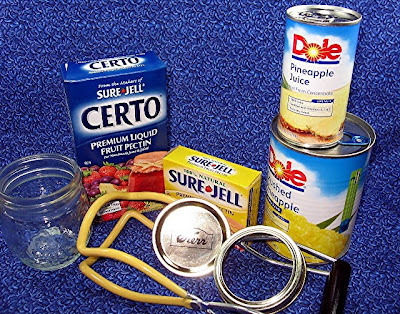 I have a great recipe from Costa Rica using pineapple jelly. If I do not add the crushed pineapple and only use the juice will I have a good jelly? I did not have any additional pineapple juice so I used fresh squeezed orange juice plus 1 tsp. vanilla extract to bring it to 3 1/4 cups. It firmed up beautifully. The extra bonus is that my grandchildren live pineapple orange juice so thus was a dream come true for them. Thanks for the great recipe. I will be making this again soon. To Mary Buchanan: I have never tried to freeze this jam, let me know how it works if you try it. To ensure that it thickens, our co-op here states not to use fresh pineapple. It lacks an enzyme that is needed to thickens. They suggest canned pineapple or juice.